The Western Health Collective is a unique form of health clinic with a range of health businesses and practitioners under the one roof who have a specific view to helping those who suffer from chronic health conditions. The therapies and modalities inside the Collective are specifically chosen to help in all aspects of health - physically, mentally and emotionally, inside and out. We offer a one-stop shop for our clients who want a complete health plan. We are linked with local GPs, hospitals and midwives, as well as other clinics and local specialists. With a team that boasts naturopaths, myotherapy, remedial massage, psychology, speech pathology, reflexology, acupuncture & Traditional Chinese Medicine, osteopathy and case management, we are uniquely suited to help the whole family with all your health requirements. Working in a collaborative and engaged way with each other for the benefit of our clients. we refer complex cases to one another to help and support each other throughout our work practices to ensure the best client support is provided. Our space has been specifically created as a place of nurture and designed specifically as a calming atmosphere and is part of our services. Less transactional, more supportive - and definitely not your traditional clinic. Curious? More about our space and why we've created it can be found here. Jennifer’s inspiration for the Western Health Collective comes from her own experience with a rare autoimmune condition. She spent three years constantly visiting hospitals and emergency rooms with no clear diagnosis, direction or cure to deal with the unknown condition. It meant that her own research was critical to her quality of life. Utilisation of complementary and allied therapies, instigating her own subsequent diploma studies, meant Jennifer saw the benefits and results of using holistic (whole body) approaches in managing chronic conditions, both in herself and her clients. 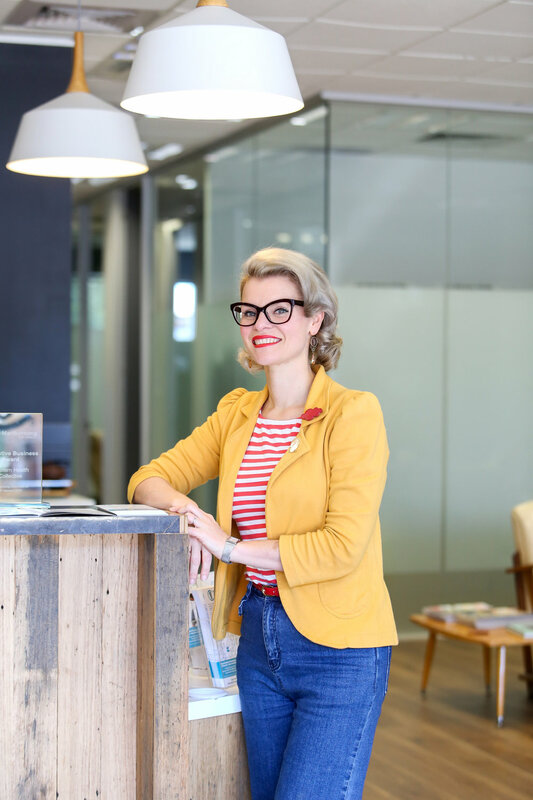 After 5 years running a successful private clinic as a reflexologist specialising in autoimmune conditions, Jennifer opened the Western Health Collective in her local West Footscray. Her aim is to support others like herself who have limited time and energy to run around town to the various health practitioners and modalities they need to pro-actively help manage their health. The Western Health Collective aims to be a "one stop shop" where you can consult with evidence based complementary therapies to help you achieve the best health, no matter what the circumstances. Being passionate about preventative health and proactive measures, the clinic is geared to not just help with symptoms and pain but to get in front of these things altogether. Jennifer is also the Case Manager at the Collective to help clients achieve wellness and autonomy. Focussed on patient centred care, case management assists with planning a care model for yourself, utilising the expertise of your case manager to know what therapies are available to assist, for what purpose they can specifically assist with your condition and help you make informed decisions regarding your treatment and health plan. Jennifer follows up with case-managed clients closely to keep track of progress and satisfaction with results. She works closely with her team to make sure the client gets the best possible outcomes and results for their investment. More information on our case management services can be found here. Christine is our highly qualified naturopath, herbalist and nutritionist who works with both adults and children incorporating step by step wellness programs that benefit whole families. She is a passionate practitioner with a strong desire to assist people in being the best that they can be, in health and in life, while implementing an integrated mind-body approach. Christine's approach is not only dealing with the symptoms, but also helping discover and treat the underlying cause of your condition. Starting with the science of pathology and integrating modern medical understanding and a knowledge of pharmaceuticals and interactions, Christine can create individual health plans that take into consideration your current health practices and boost the effectiveness of these with the science of whole foods, herbs, vitamins, minerals and supplements to achieve greater long term results. Much of Christine's work has stemmed from implementing emotional health programs and working with people with chronic health conditions such as anxiety and depression, fibromyalgia, chronic pain & fatigue. Her passion is working with whole families to restore everyone to their optimal health. If you have difficulty with managing your energy levels or your chronic condition, please bring your recent blood test results to your consultation with Christine who can then assess your pathology results and if needed refer your results onwards to a Haematologist for further blood analysis. For a free ten minute consultation you can call 9687 5670 or book these online. Elise is a Clinical Hypnotherapist who studied with the Institute of MindEnergetix, and is now part of the teaching team for future practitioners. MindEnergetix is a unique modality that uses hypnotic trance to access the clients subconscious mind and find the core event that has created the issue holding them back. With this modality we clear out old stored emotions, feelings, and beliefs so the client can move forward with ease. MindEnergetix neutralises automatic pre-conditioned responses, allowing the ability to consciously re-frame beliefs. Accessing and embodying personal truth allows an approach to life feeling freer and more connected to your true self. Elise believes that emotions are an integral part of being human and it is very important to de-stigmatise the expression of emotions in everyday life. When working with Elise you will receive ongoing support and take home activities to integrate your sessions that reflect this. With Elise, all of you is welcome. She is experienced in working with emotional repression, grief, loss, body dysmorphia, and addictive compulsive disorders. Elise is also currently studying to be a doula with Angela Gallo and is an advocate for conscious conception, pregnancy, and birth. She plans to pair her hypnotherapy work with doula work, preparing future parents for the life changing event of having a child. At this stage Elise is already offering her hypnotherapy services to people in planning to conceive a child. When you book a session with you will be sent a welcome email with a video explaining MindEnergetix. It is very important for your conscious mind to understand what is happening so it can relax, feel safe, and step aside for the subconscious mind to take centre stage. In the same email there is an intake form for you to fill out so that Elise can have an understanding of your background and intention for the session. When you arrive at your session you will both talk for as long as necessary us to pinpoint what you really need as a result of the session. This talk will encourage self awareness and be the intention for the session. Once you decide on an intention Elise will guide you into hypnosis; this is simply a state of deep relaxation. She will then guide you to regress to the very first time you felt the feelings associated with the issue you intend to work on. Your subconscious mind with provide us with the memory or metaphor and Elise will guide you to work through this and clear out the energy that is no longer serving you. You will both continue to work with memories and metaphors that present until you feel the issue you brought into the session has cleared. When you feel complete Elise will wake you from hypnosis and will recap the session for you and give you recommendations for self care for the rest of the day. After you leave you will receive an email from her once again recapping the session, explaining how to be aware of the shifts the session has given you, and some at home activities to integrate the clearing. A 15 minute call will be booked for 2 weeks after the session for integration support. Please be aware that Elise recommends these sessions as ongoing therapy and offers packages of sessions for a discounted price. She suggest one session per month. The style of hypnotherapy Elise practices uses the power your mind the clear out energy that is stored in your body or consciousness as emotions, triggers, beliefs, stories, and pain. This is essentially a way to fast track your emotional growth and healing. For example, have you ever felt stuck in an emotion? You feel sad, angry, resentful all the time and just can't shake it? In a session with Elise she will grasp onto the energy of the emotion (E-motion is energy in motion), find the cause of that emotion and guide you to clear it so it no longer effects you. This works the same for 'being triggered'. For example when your boss is angry you may feel like it is your fault even if it isn't, that’s called being triggered and Elise would have you tap into that feeling into the body to heal it. Your beliefs shape your perception of the world, so for example if you believe "I'm not good enough", your perception will be clouded by that belief and you will only ever see proof to reinforce that to be true . MindEnergetix is a powerful way of changin our beliefs as beliefs are stored in our subconscious. Elise is available at Western Health Collective on Mondays. • other specialised adjustment conditions such as organ transplantation. 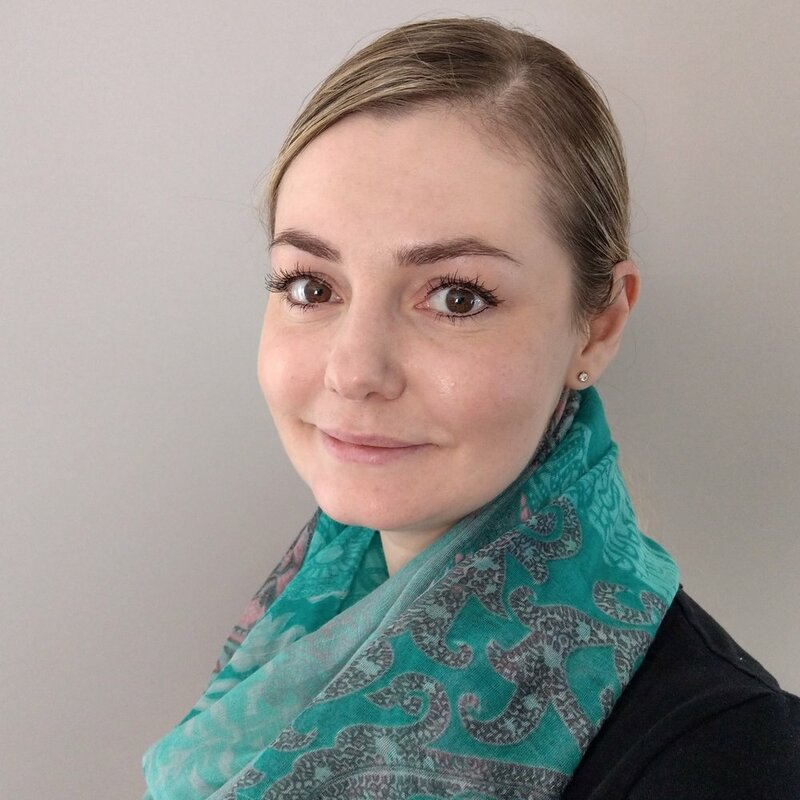 Emily supports adults with these wide-ranging health and emotional concerns by using a flexible combination of evidenced-based therapies, including A.C.T, C.B.T, Interpersonal, Mindfulness, Graded Exposure and Somatic Psychotherapy. She is a Fellow of the College of Health Psychologists and has a strong understanding of health psychology, clinical psychology, attachment, physiology and neurology. Emily also has multidisciplinary team experience in hospital, university lecturing and community health settings. Medicare and Health Fund rebates are available. A registered psychologist, with over 10 years experience, Fiona will support you to good mental health. She primarily uses a Cognitive Behaviour Therapy (CBT) framework, which gives you, the client, the tools you need to overcome depression, anxiety, addiction, stress and many other concerns. 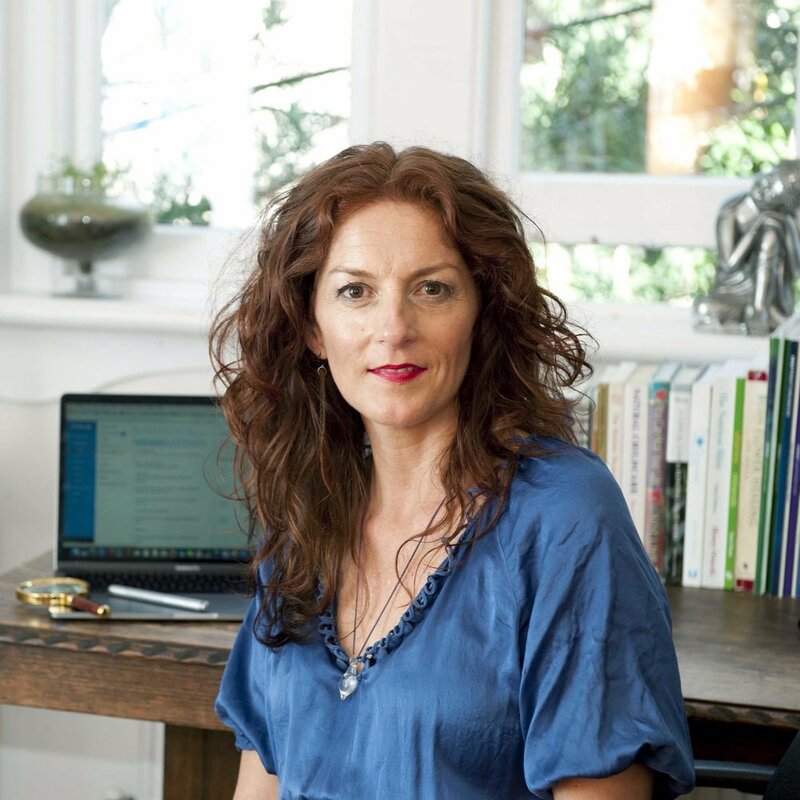 Fiona tailors her counselling sessions to each of her client’s unique needs and goals, to provide a targeted and sustainable treatment solution. She draws from multiple evidence-based therapy modalities including Cognitive-Behavioural Therapy, Schema Therapy, Motivational Interviewing, Solution-Focussed Therapy and Mindfulness-Based Therapy. Fiona provides her clients with an open and relaxed atmosphere allowing their goals and needs to be discussed in a collaborative way. She supports her clients to regularly check in with themselves to ensure their needs are being met. Fiona is focused on providing her clients with effective practical strategies and techniques necessary to gain resilience and work through challenges. Medicare and Health fund rebates are available. Beginning her career as a Remedial Massage therapist over 10 years ago, Lisa Ziino then went on to study Polestar Pilates. Through these two modalities, she was introduced to the concept of how fascia works in our bodies. As a hands on therapist she was intrigued by the continuity and depth to which the fascia in our body goes, the pressure that it can create after any kind of trauma, and the amazing effect it has on every muscle, organ, cell and system in the body. She began learning about the John F Barnes Myofascial Release method (JFB MFR) in the USA and after seeing and experiencing wonderful results, JFB MFR has become a large influence in her career. This has allowed her to help people not only relieve their symptoms, but to target the actual problem in their bodies. As one of only a very few practicing JFB MFR therapists in Australia, she endeavours to educate people in this fascinating and extremely effective treatment method, increasing her knowledge by continuing education under the guidance of John F Barnes at his seminars in the USA. She is an accredited member of the Australian Association of Massage Therapists (AAMT) and a recognised health fund provider. As a Psychologist with a Masters in Clinical Psychology, Maree has undergone extensive training to help her understand, prevent and relieve distress and dysfunction. She also has over 10 years experience in the private and public mental health care industry where she has provided individual, couple and group therapy to clients aged 4 – 80 years. In her approach, Maree respects that the needs of each client will be unique and cannot be simplified by a generic diagnosis or treated in a generic way. Therefore, every client will be afforded the opportunity to be listened to deeply at their own pace and following an assessment, offered tailored treatment. Maree often works with children and adolescents who are experiencing emotional difficulties and/or are exhibiting challenging behaviours, as well as the families who are supporting them. However, she also works with adults especially around relationship issues and mood disorders. Depending on the client, Maree utilises developmentally appropriate and evidenced based approaches such as interpersonal, psychodynamic, behavioural and play therapy as required. Within a warm, safe and accepting space these approaches allow Maree to maximize each individual’s ability to engage by relating to them on their level and in a collaborative way. All the while supporting them to increase their emotional vocabulary and understanding, ultimately facilitating the removal of emotional, relational and developmental road blocks and supporting constructive changes. Rebecca is an experienced speech pathologist who takes pride in providing individualised, focused and functional therapy for your child. Rebecca has experience working with children with a wide variety of speech, language and literacy difficulties. She is a life-long learner and loves discovering evidence-based therapy approaches to assist children to meet their potential. Rebecca is qualified in PROMPT, DIR Floortime, Hanen, Spalding, SOS Approach to Feeding and more. Please feel free to get in touch at any time to chat about your child’s needs. Richard qualified from Victoria University, Melbourne with a Bachelor of Science (Clinical Sciences) and a Masters of Health Science (Osteopathy). He has been working in private practice since 2001, initially moving to Seddon when he joined a long standing, multi-disciplinary clinic and now in West Footscray where he works in 2 clinics, his own – Inner West Health Clinic in Seddon – and Osteopath here at the Collective. Using an holistic Osteopathic model that follows the ‘find it, fix it and leave it alone’ mantra, Richard has been treating a wide range of patients from children to elderly with variety of Osteopathic techniques tailored to best suit the individual patient. He also employs Dry Needling techniques, which he has found useful for treating soft tissue injuries that don’t always respond to other treatments, as well as chronically tight muscles, that may refer pain into other parts of the body. Richard has always had a keen interest in sporting injuries and rehabilitation having competed and then worked for a variety of amateur and professional sports clubs over the years. He has also sustained one or two injuries of his own along the way! Consequently, he has a passion for seeing sports-people of all pursuits return to their sport as soon as possible. Having children of his own, he has a keen interest in pre and post natal care and loves assisting women through their pregnancies. He can see the difference it makes to having personalised treatment and care during and after pregnancy. Sylvia is a Clinical Psychologist with 20 years experience working in public mental health settings and in private practice. Sylvia works from a collaborative formulation to understand people’s unique stories and develop a shared understanding of their presenting difficulties and therapy goals. The therapeutic work is embedded in a non-blaming, non-stigmatising environment, with compassion and empathy. Dr Tammy Ben Shaul is an experienced psychologist with both Australian and international qualifications. She works in an approach called Psychotherapy Integration combining several therapeutic orientations, focusing on her clients’ current needs. Her relational approach translates to a flexible treatment that will aim towards long lasting changes in life. The decision to go to therapy is a stepping stone onto a journey towards greater well-being. Tammy firmly believes that personal and life changes become steady when walked through with professional assistance. Initial consultations will provide a thorough and clear understanding of what will be the most helpful process in order to face one’s conflicts, challenges and patterns. Tammy is trained in psychoanalytically oriented psychodynamic relational therapy. She holds a PhD and an MA in the fields of developmental, socio-cultural and clinical psychology. Tammy offers medicare rebates with GP referrals within the Better Access initiative and creates ongoing arrangements for long term therapies when required. Member of International Association for Relational Psychoanalytic Psychotherapy (IARPP); Society for Psychotherapy Research (SPR); MAPS.